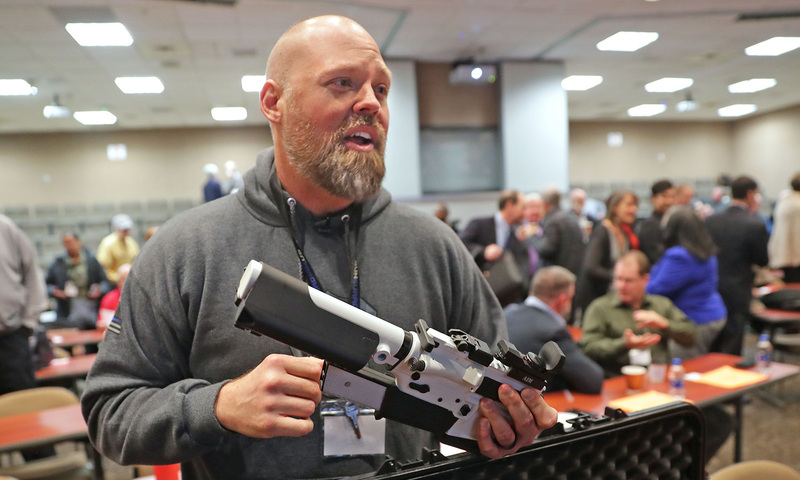 Representatives from dozens of law enforcement agencies from Wisconsin and Illinois met Wednesday at Milwaukee Area Technical College’s Oak Creek campus to hear from safer-gun entrepreneurs and check out their ideas, prototypes and products. “I’m politically agnostic but technologically enthusiastic,” he told the crowd. Omer Kiyani’s Identilock is already for sale in stores like Cabela’s and online from Amazon. It’s basically an oversized trigger guard that drops off in less than a second when the authorized user’s fingerprint is detected while holding the grip.